You may remember the scene in the film “Aliens” when Private Hudson said, “Yeah, but it’s a dry heat.” He may have earned the scorn of Sergeant Apone, but he was telling the truth. Humidity makes hot temperatures miserable, especially if you are indoors. It makes you feel hot and sticky to the point where you feel like you need to call for a Katy air conditioning repair professional immediately. Actually, what you need to do is adjust the humidity level. You will feel cooler in the summer and warmer in the winter. Mold and mildew will be less likely to grow in the dark recesses of your air vents, which will help prevent you from contracting respiratory disorders. High humidity can also damage your home’s interior and exterior. It causes stains on the walls, condensation on the windows and rot at the foundation. Pests like roaches need water. Puddles of condensation give them plenty to drink. Dust mites are also fond of homes with high humidity. They can exacerbate allergies and asthmatic conditions. If your air conditioning system is unable to adequately remove the humidity, you should consider adding a humidification system or a home ventilation system. Either of these is meant to lower your risk of humidity-caused health problems while improving your comfort level. 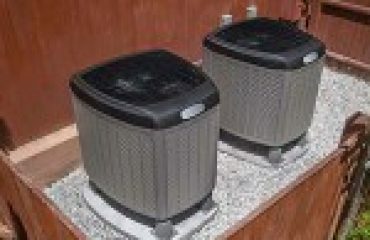 A Katy air conditioning service can install either of these systems for you. The objective is to add moisture to the air in the winter when it is likely to feel drier and to remove moisture during the hot months of summer. Relative humidity is the amount of water vapor in the air at a certain temperature when compared to how much it can hold at that temperature. At 100 percent relative humidity, the air cannot hold any more moisture. When the air is only holding half as much as it could at a specific temperature, the relative humidity is 50 percent. 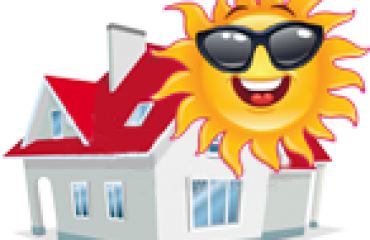 It is recommended that your home’s interior should have a 30 to 40 percent humidity level in winter and a level below 60 percent in summer. Houston summers are notoriously humid. Keeping the humidity below 60 percent will help prevent mold and bacteria from colonizing. Cooking and showering will raise the relative humidity in your home almost as much as the weather. If you have a stand-alone humidifier or one hooked up to your HVAC unit, you will be able to check and adjust the humidity throughout the year. Vents and fans also help control humidity levels. A Katy HVAC repair company can make certain that your system and ductwork are the right size and have been installed properly. If your system is a good fit, it will have enough capacity and airflow to extract the excess humidity from your home. If you have a custom-designed system installed, you will save money on cooling because you can set the thermostat levels a few degrees higher than you normally would. With a whole-house humidification system, you will avoid static electricity, dried-out nasal passages, chapped lips and skin irritation in the winter. Your furniture and hardwood floors will also last longer if the humidity is kept at bay regardless of whether you have a heat pump or any type of furnace. Give All Out A/C and Heating a call at 281-238-9292 to see if a humidification system is right for your home. We have been serving Sugar Land, Katy, Richmond, Memorial and the surrounding areas for over 25 years. We are available for everything from emergency repairs to seasonal tuneups. 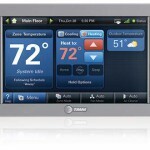 We can custom design and install a system that will save you money and keep your home comfortable all year long. All Out A/C & Heating is a complete air conditioning and heating company serving Katy, Sugar Land, and the surrounding Houston area. Established in 1989, we are locally owned and operated so that we can meet the needs of our valued customers. We strive to provide quick, honest, and dependable services so that you remain comfortable in your home regardless of the weather. 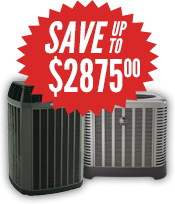 Save up to $2,875.00 on Qualifying Systems. At All Out A/C & Heating, our company has developed a customized preventive maintenance program that addresses the problems we see most often in air conditioning and heating systems. Our professional service technicians are trained to service and repair your systems efficiently. This will eliminate problems and save you money. The warm weather is still hanging around! Our Service Area includes greater Fort Bend County, Katy, West and Southwest Houston and all the communities nearby. © 2017 All Out A/C and Heating - All rights reserved. ...another online web and SEO marketing project powered by Mach One Media Group. 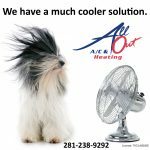 All Out A/C & Heating is a leading air conditioner and heater repair and replacement contractor serving the greater Fort Bend County area, including, Richmond, Rosenberg, Sugar Land, Katy, Fulshear, Needville, Missouri City, Stafford as well as many communities within these cities.